No animals harmed in the making of this great shave brush. 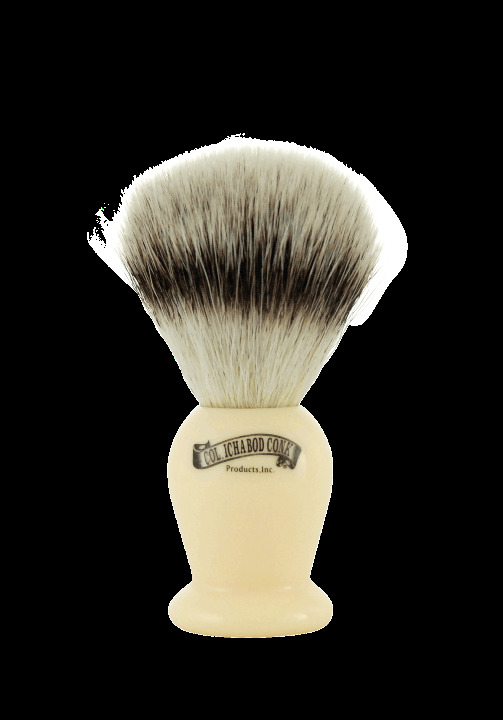 Very soft synthetic silvertip bristles with faux ivory resin handle. Hair is 2nd generation faux silver tip. Synthetic bristles dry quickly making it a good choice for everyday and/or a travel brush.